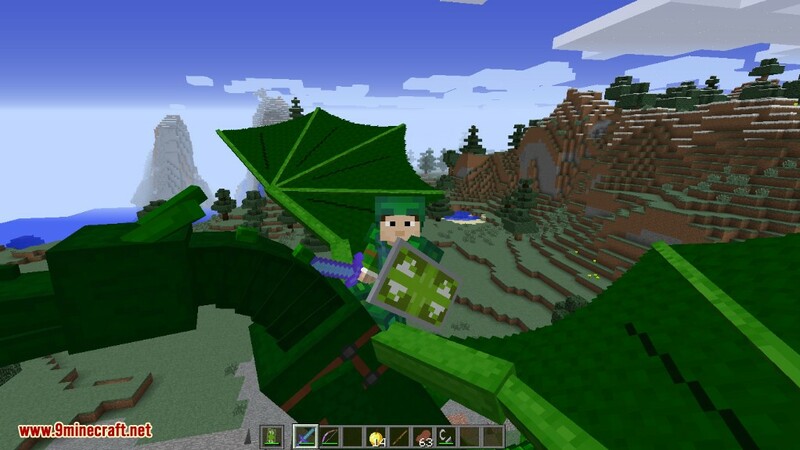 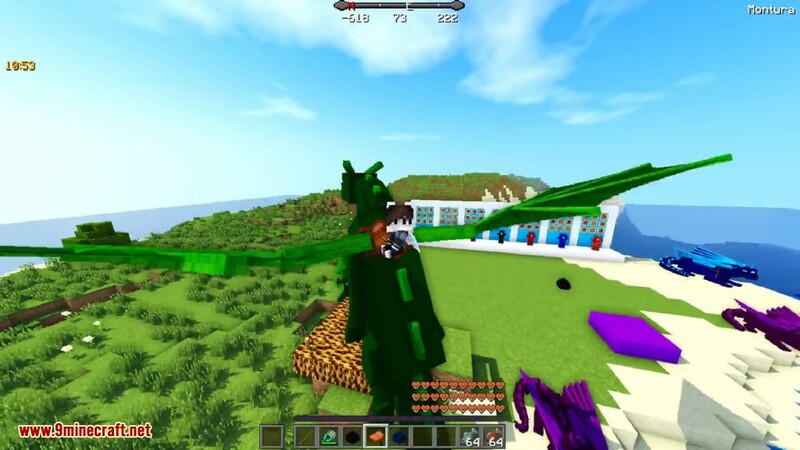 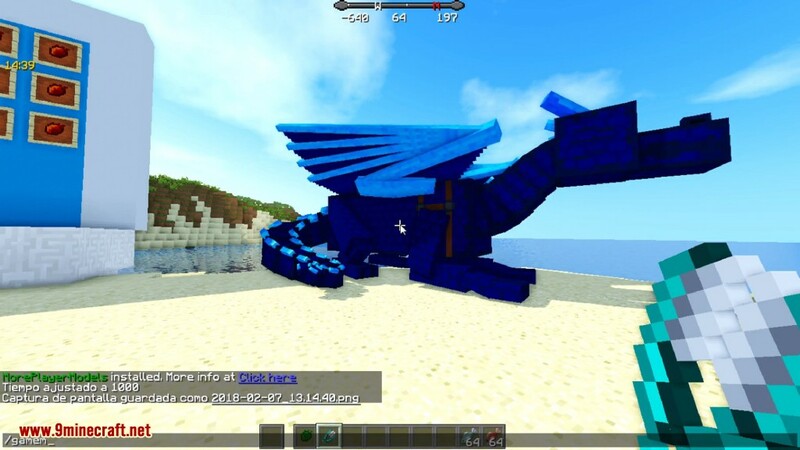 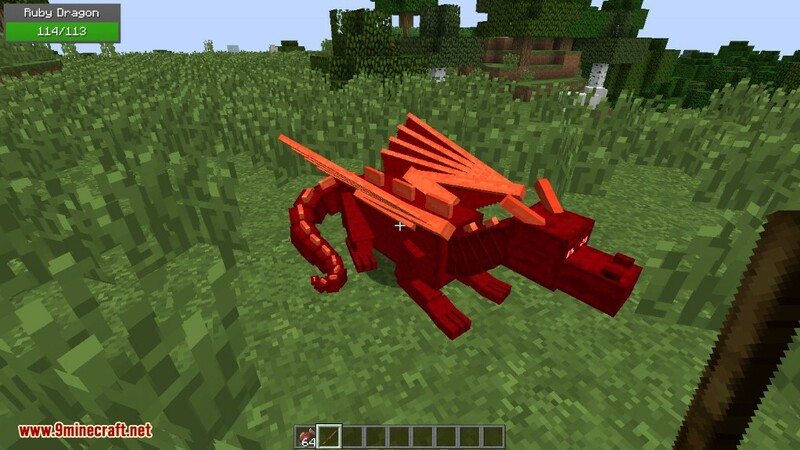 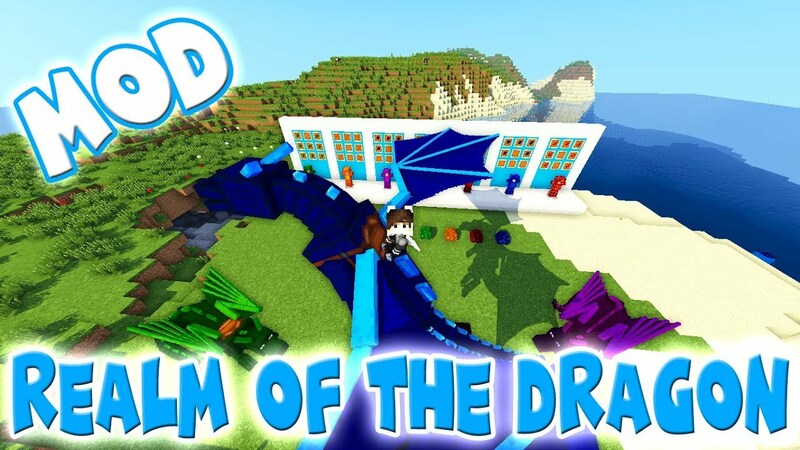 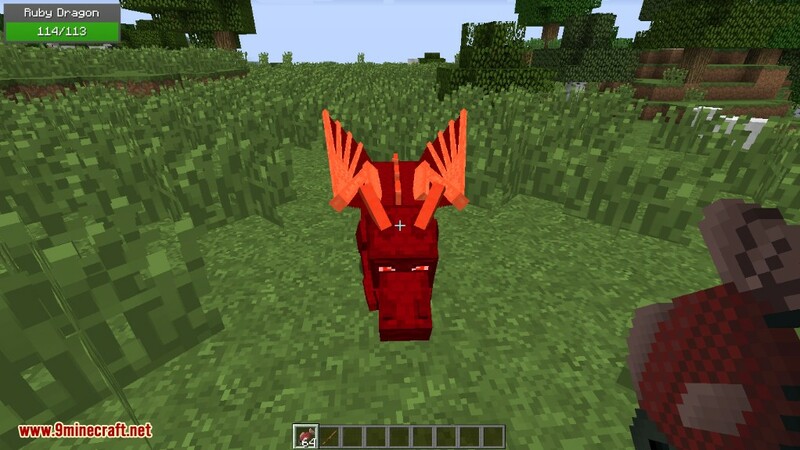 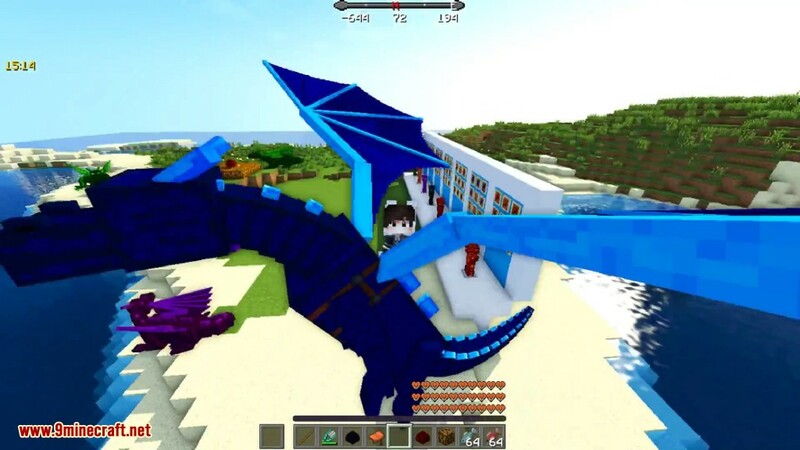 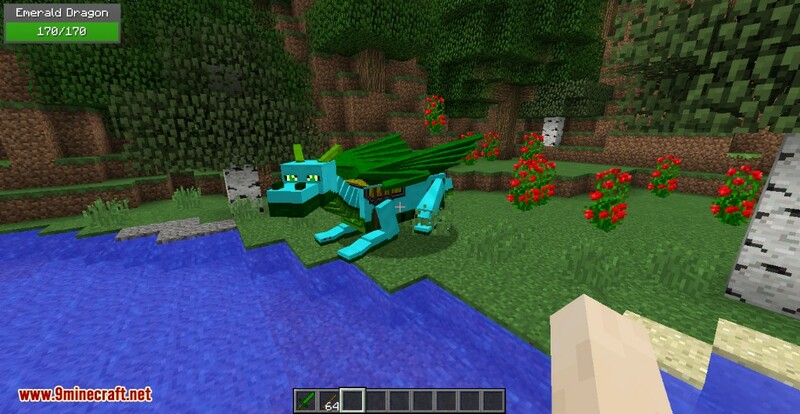 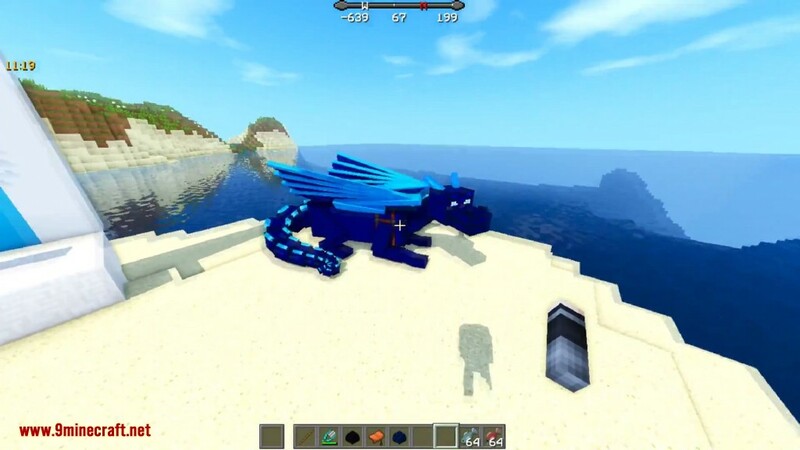 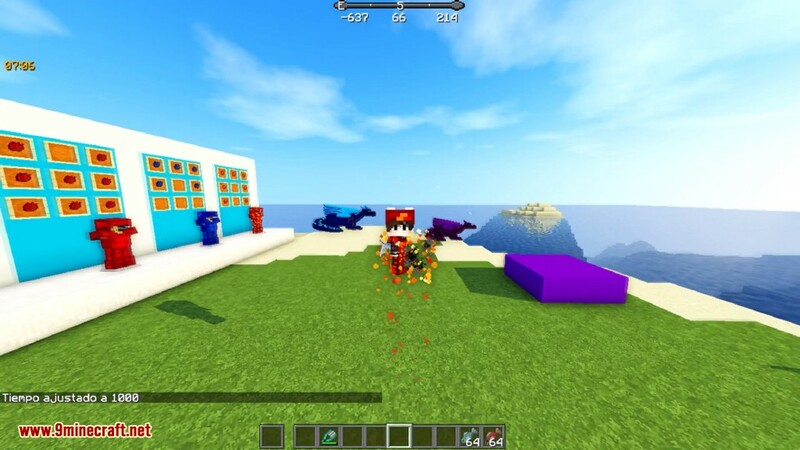 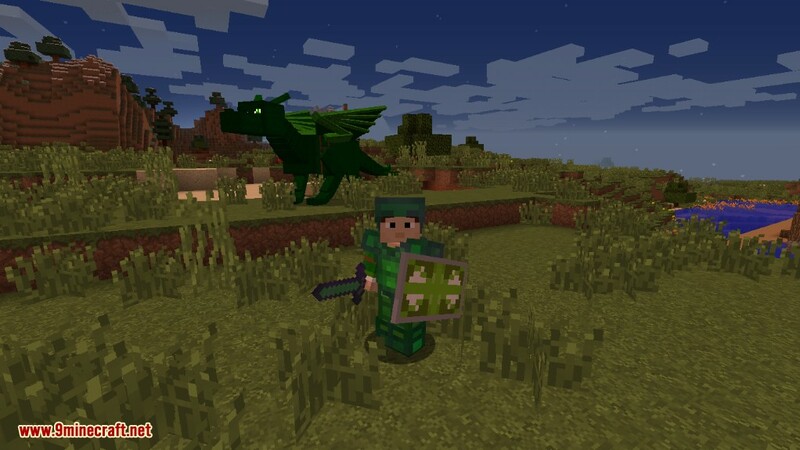 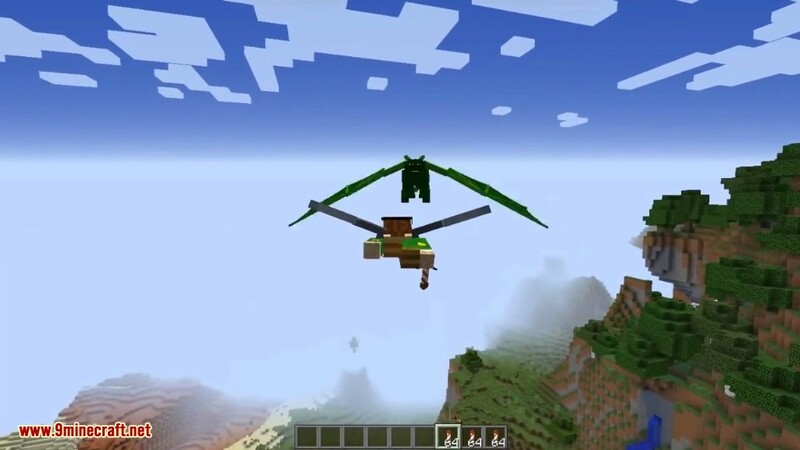 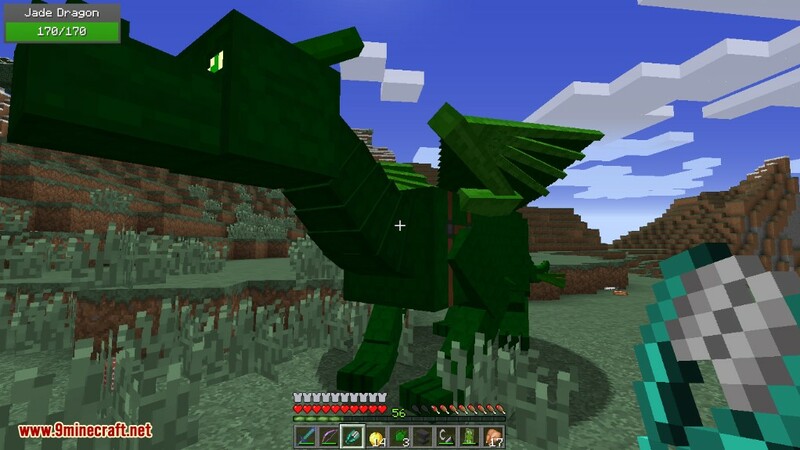 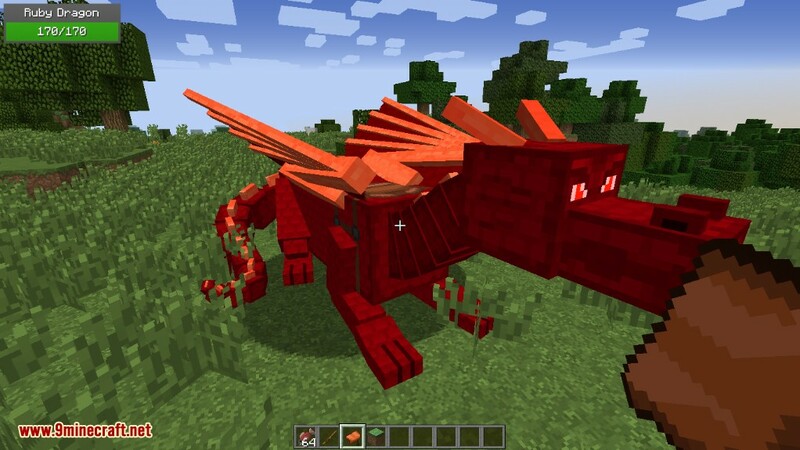 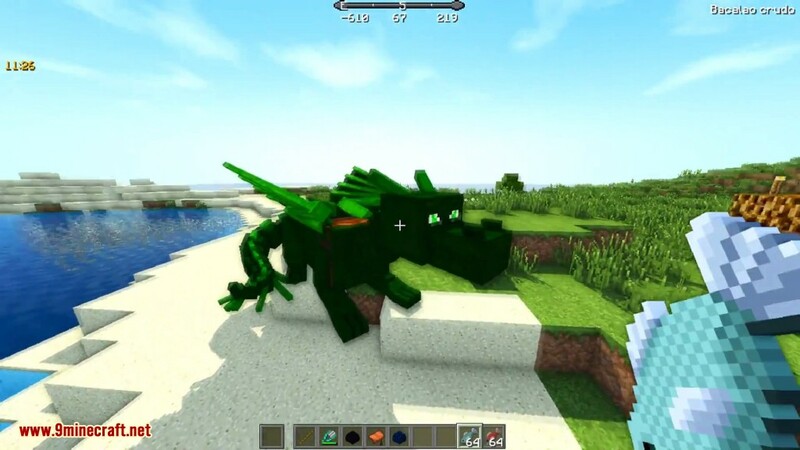 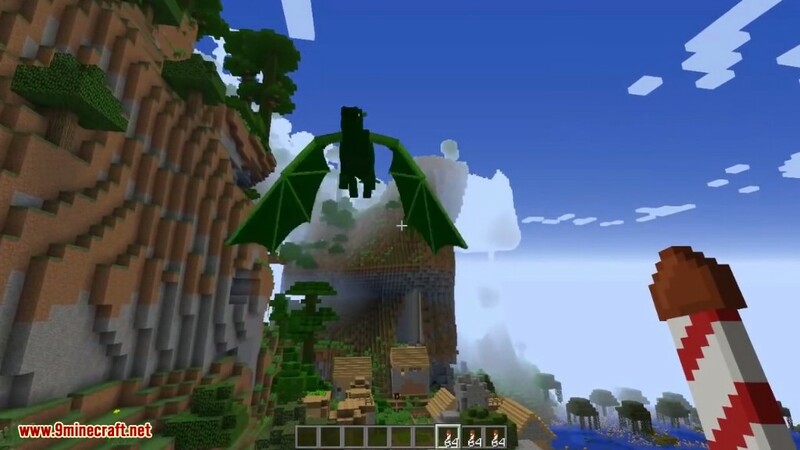 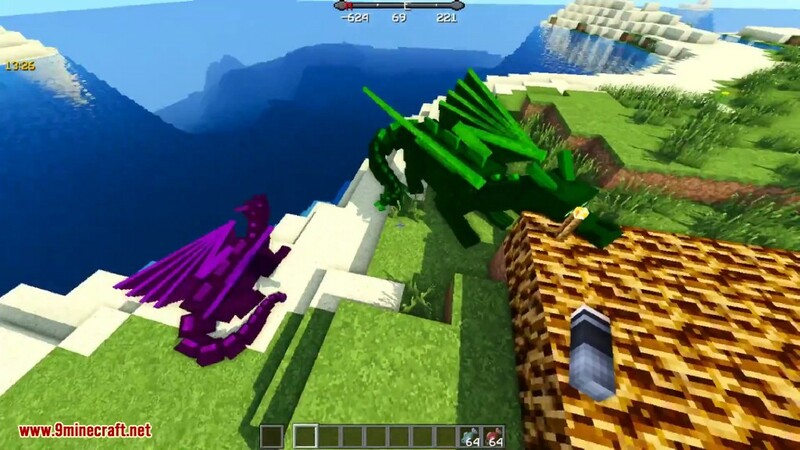 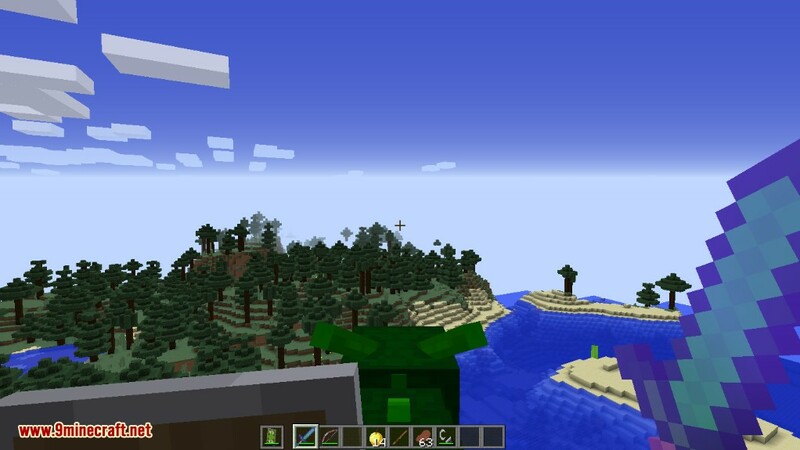 Realm of The Dragons Mod 1.12.2/1.11.2 is a remake of a previous mod called Dragon Mounts. 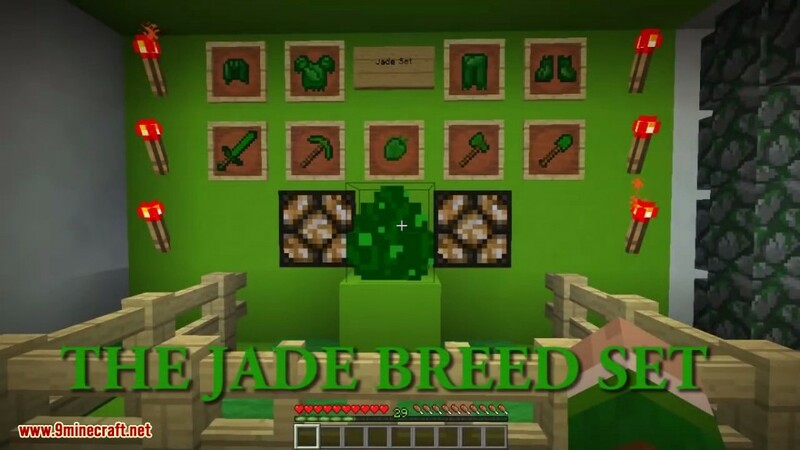 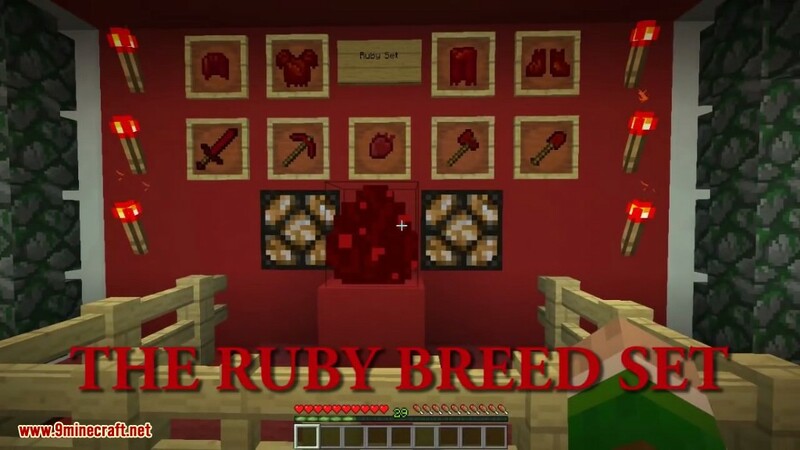 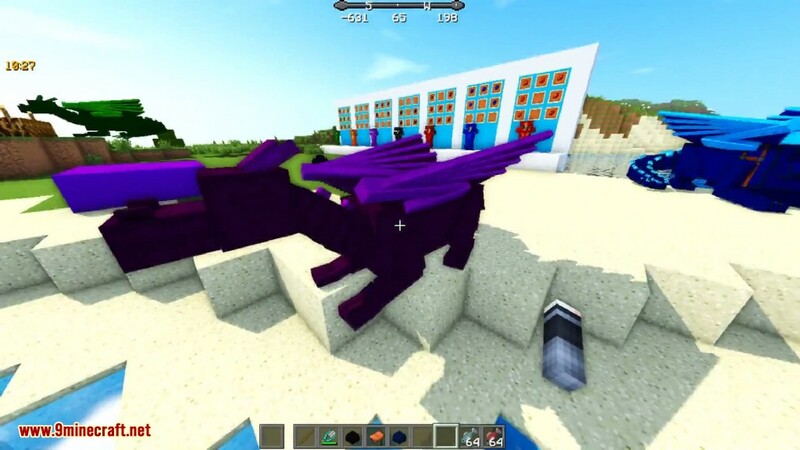 Unlike Dragon Mounts who base it’s dragon breeds with Elements like Fire, Water and Ice, Realm Of The Dragons base it’s breeds with Gemstones namely AMETHYST, GARNET, JADE, RUBY and SAPPHIRE. 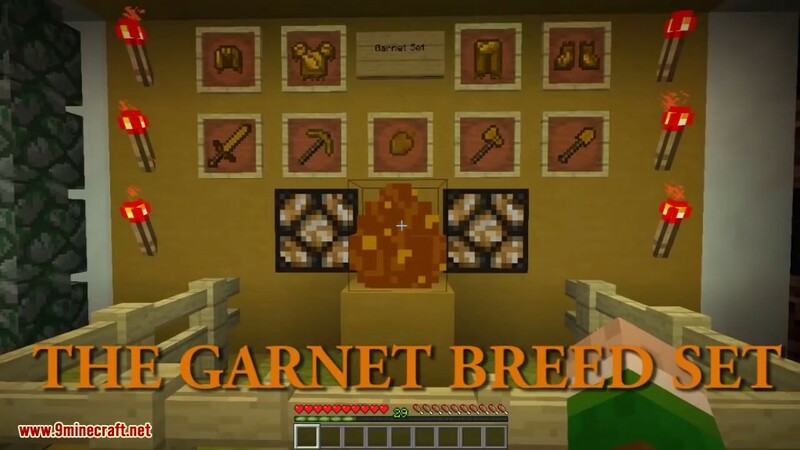 Each gemstone breed has a Tool/Armor Set. 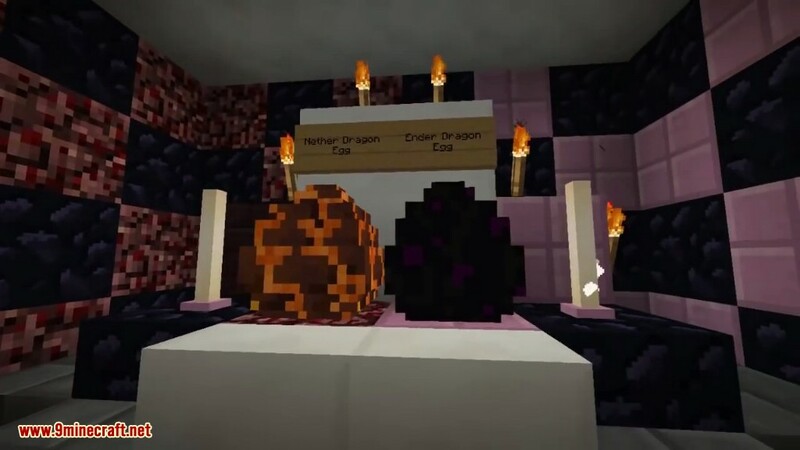 Once it’s hatched! 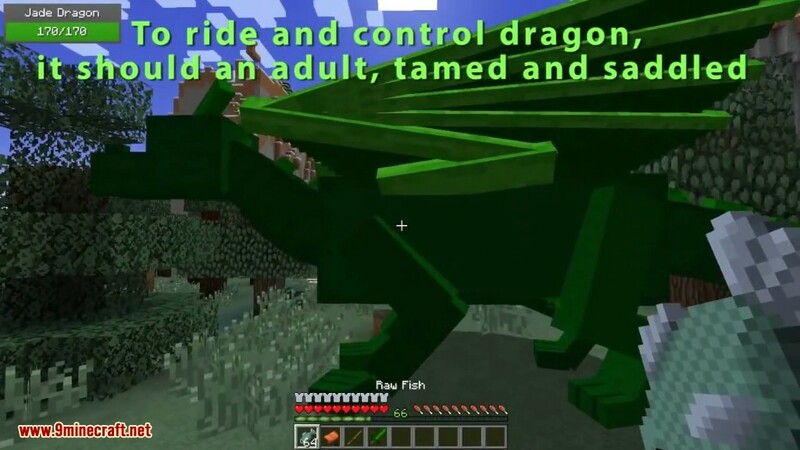 Tame it with fish (any kind). 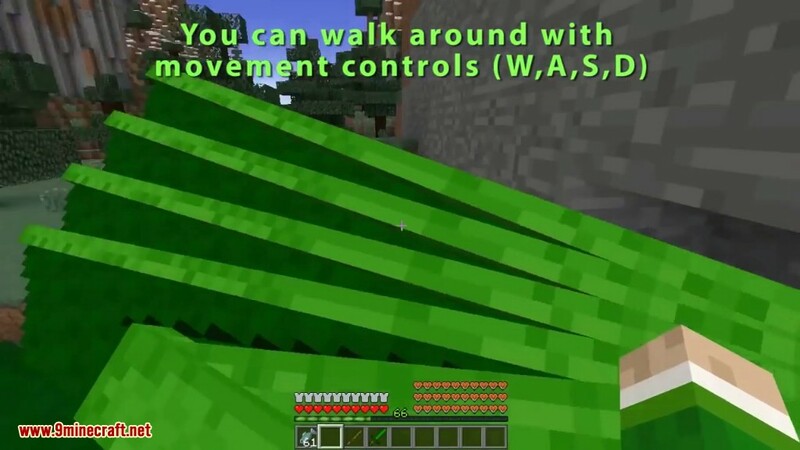 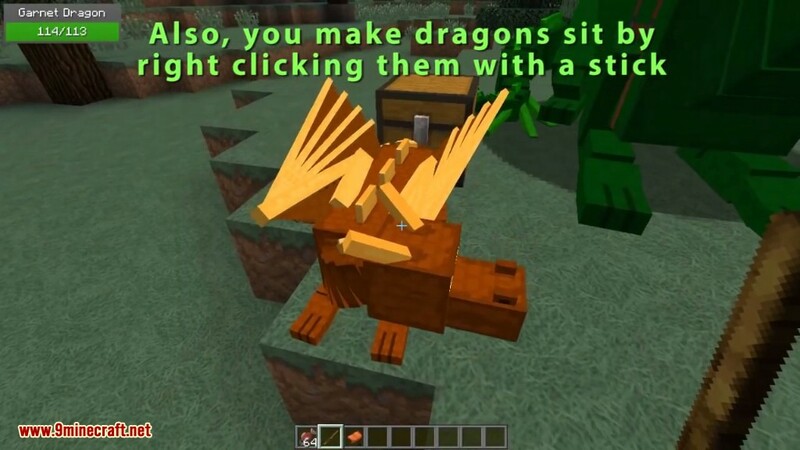 The hatchling can be tamed and told to sit by right clicking with a stick and attack like other pets, but it cannot fly. 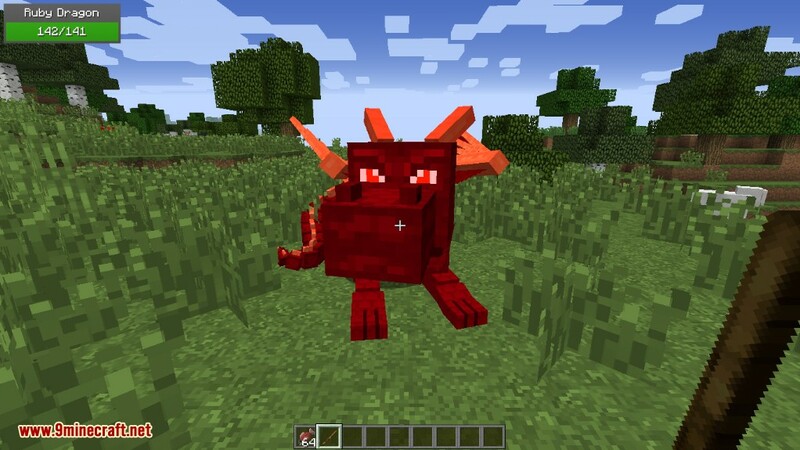 A hatchling is as big as an adult Wolf. 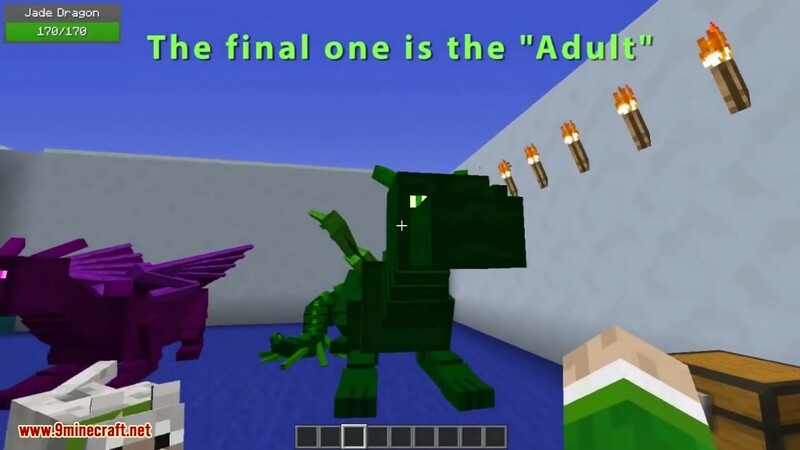 Watch it grow into a juvenile (teenager in human terms). 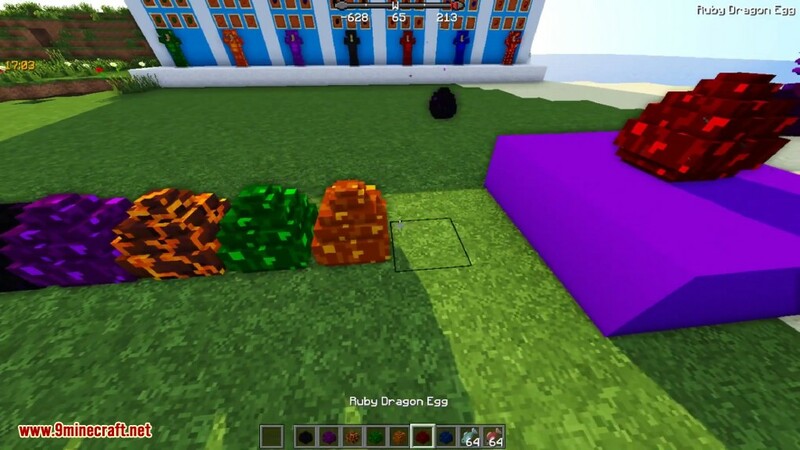 Notice it health and size increased a bit. 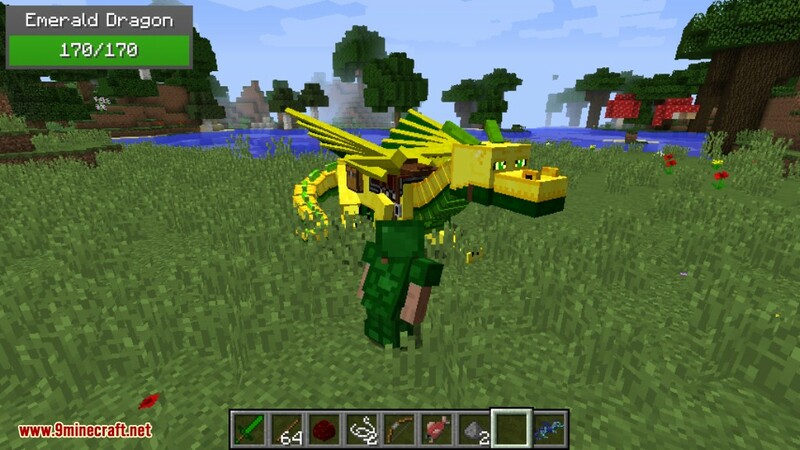 Now your dragon is an adult, once saddled, it can be ridden and flown to the skies. 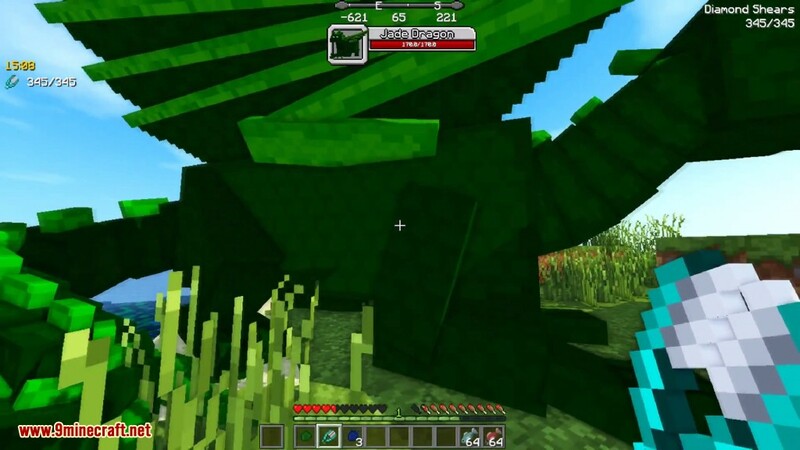 It has reached Maximum Health and Maximum Size. 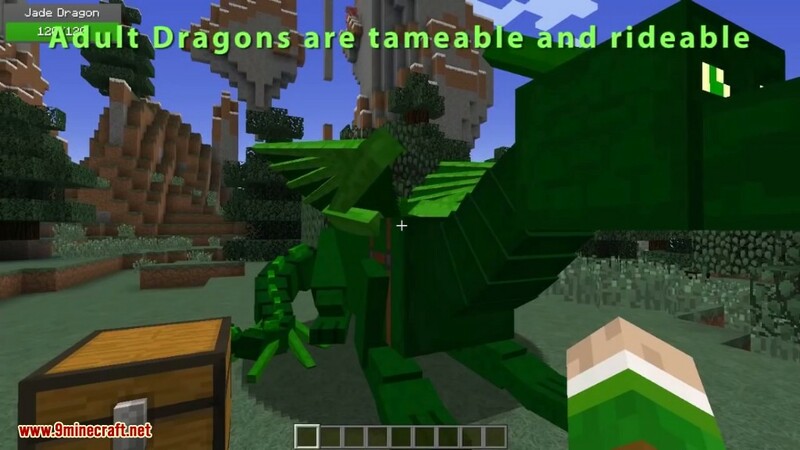 It may look small but try to compare it with a Horse. 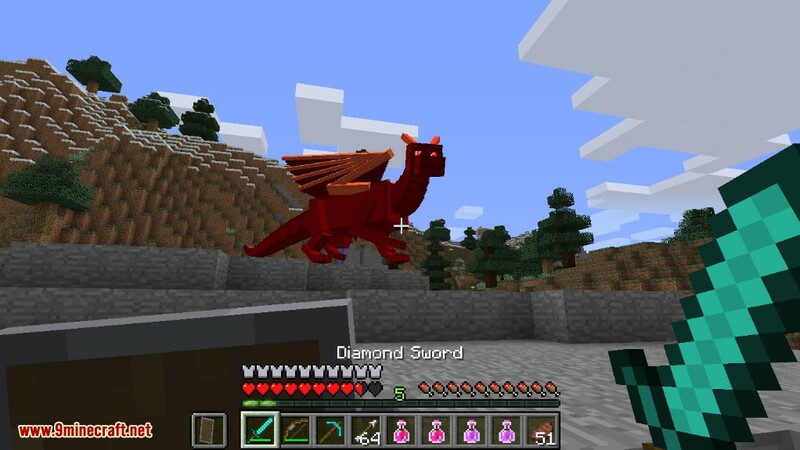 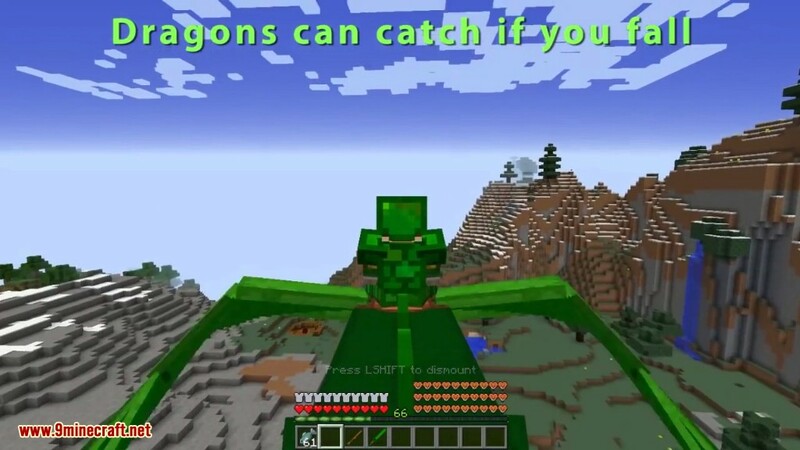 Find Gem Dragons in Extreme Hill biomes || Underground. 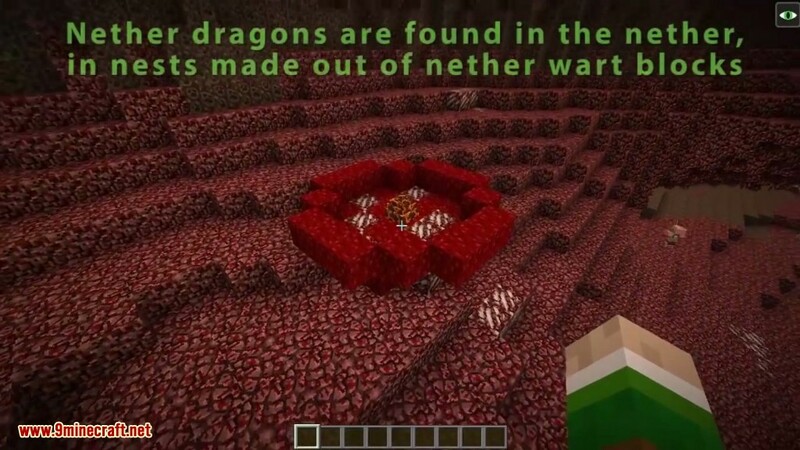 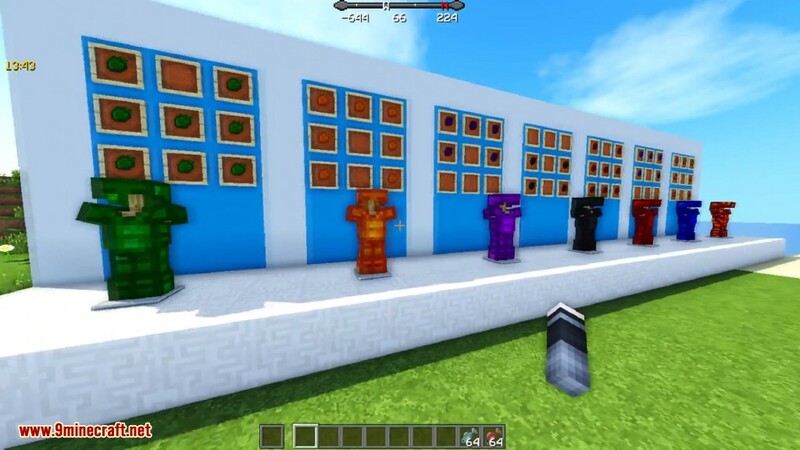 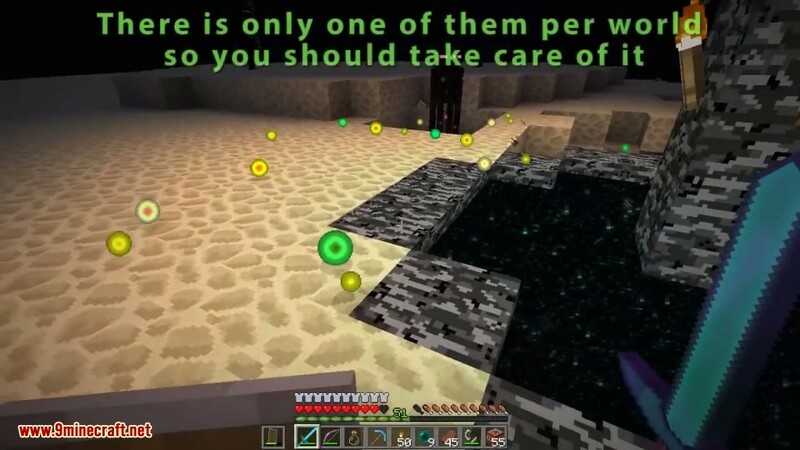 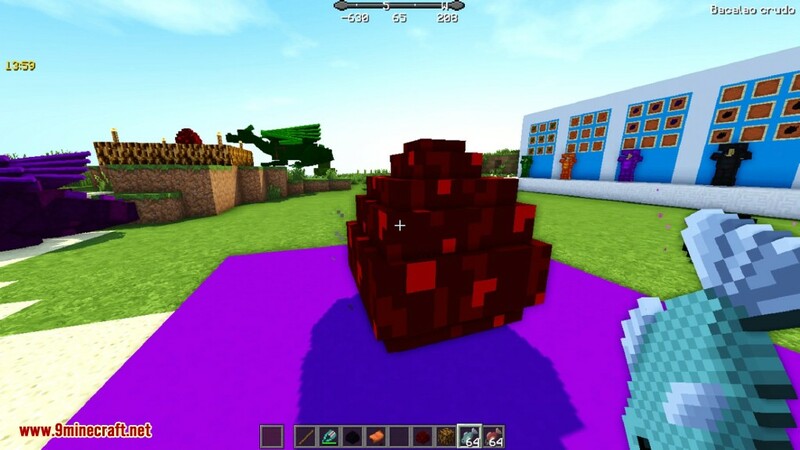 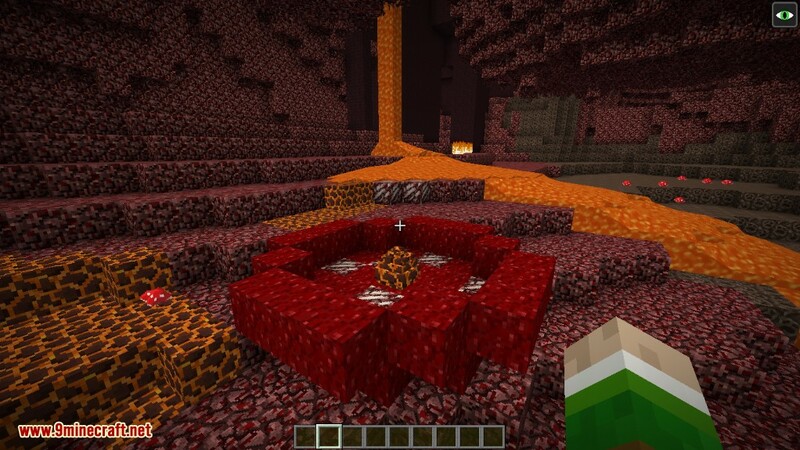 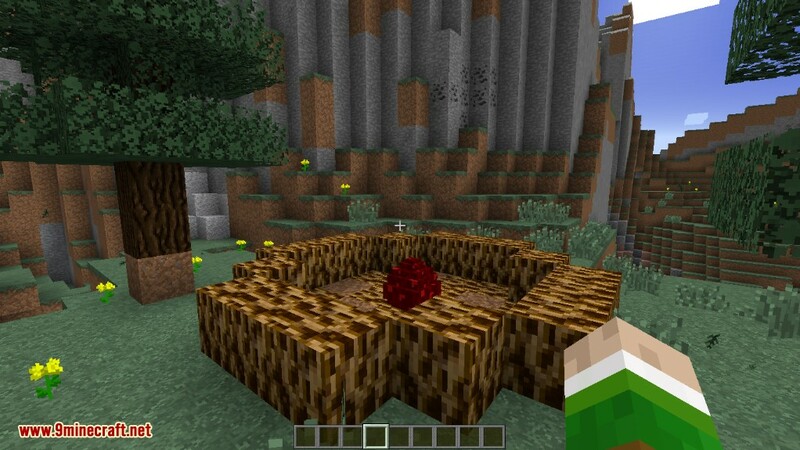 Find the Nether ones in the Nether. 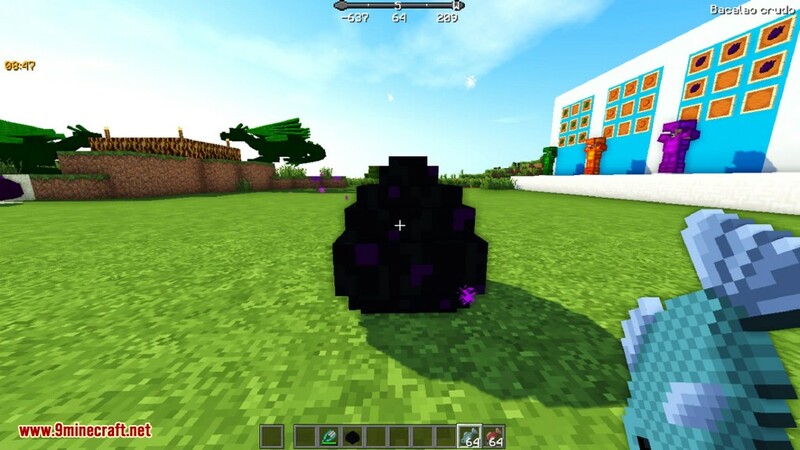 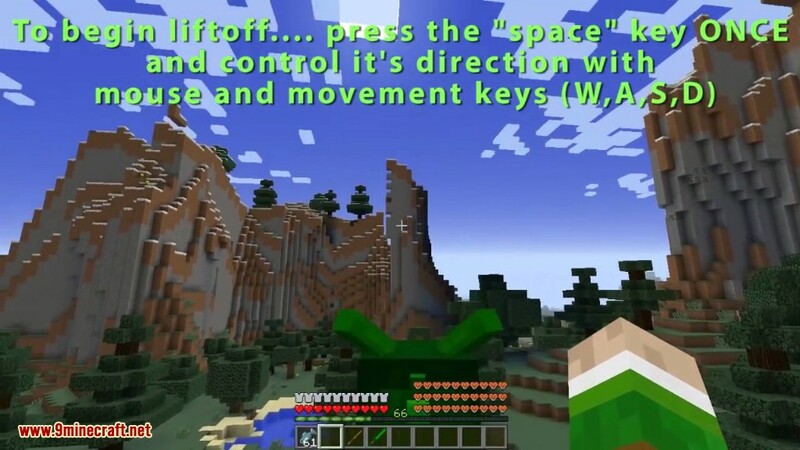 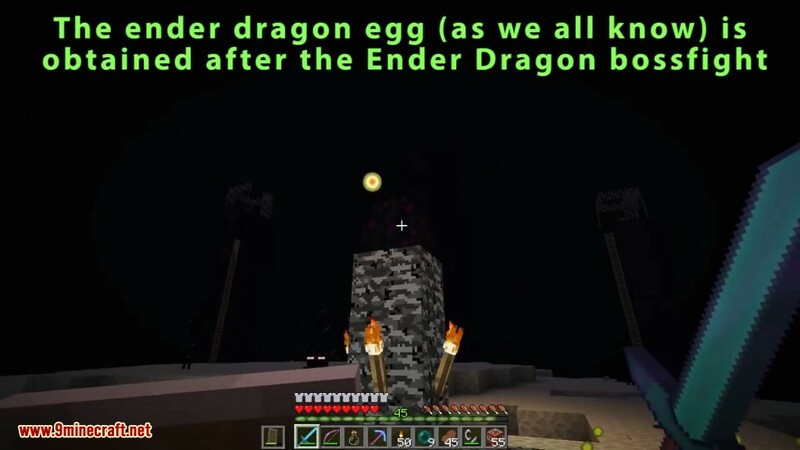 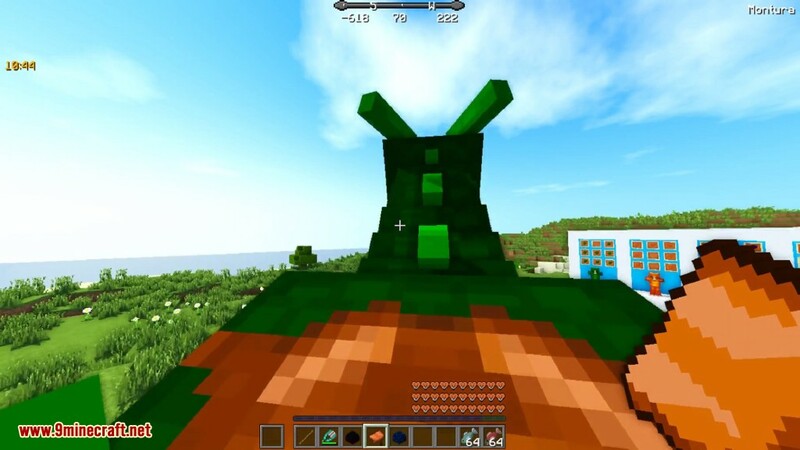 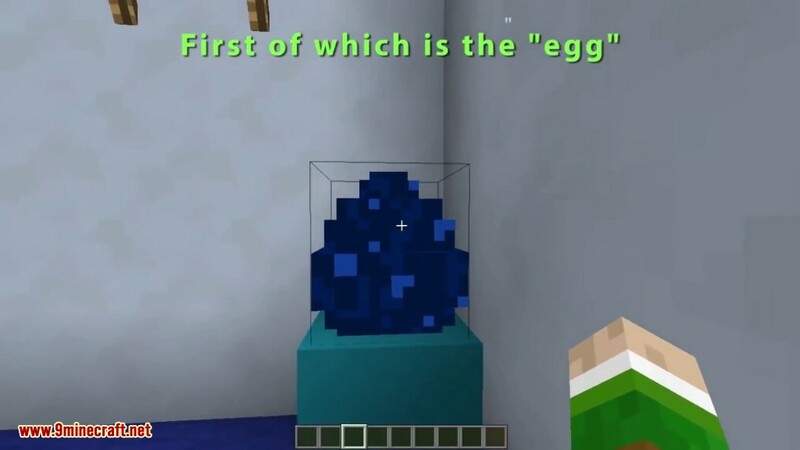 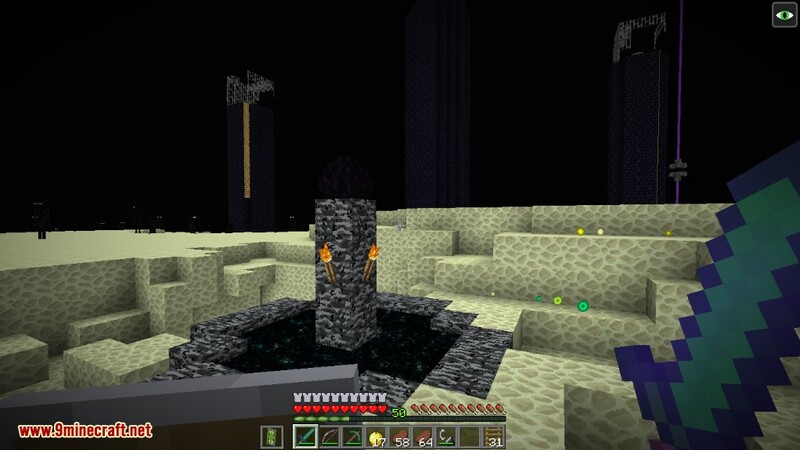 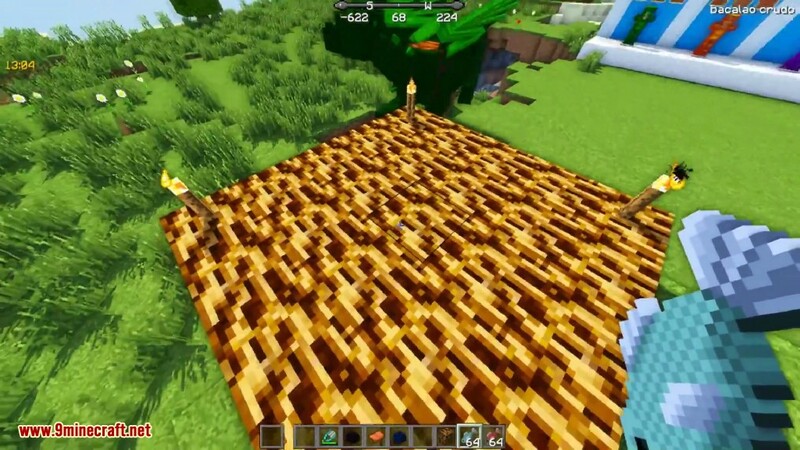 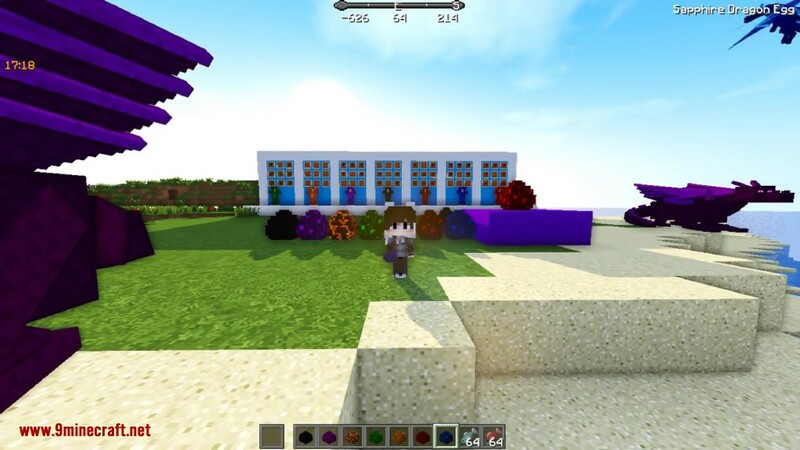 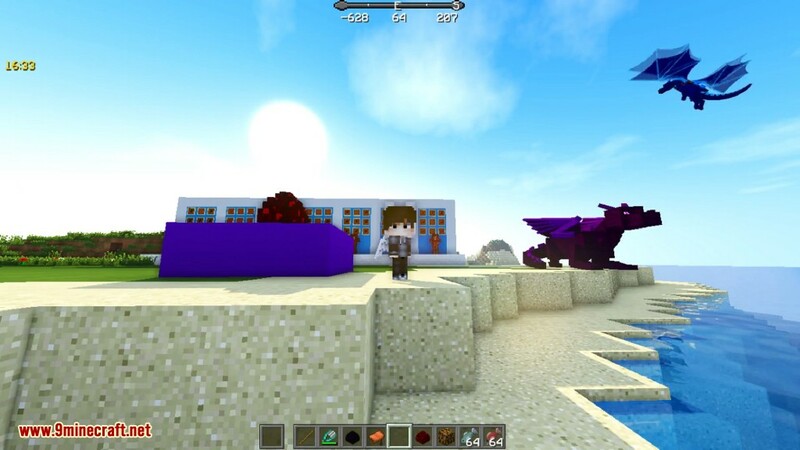 Find the Ender Egg in the Ender Dragon Nest after defeating the Ender Dragon. 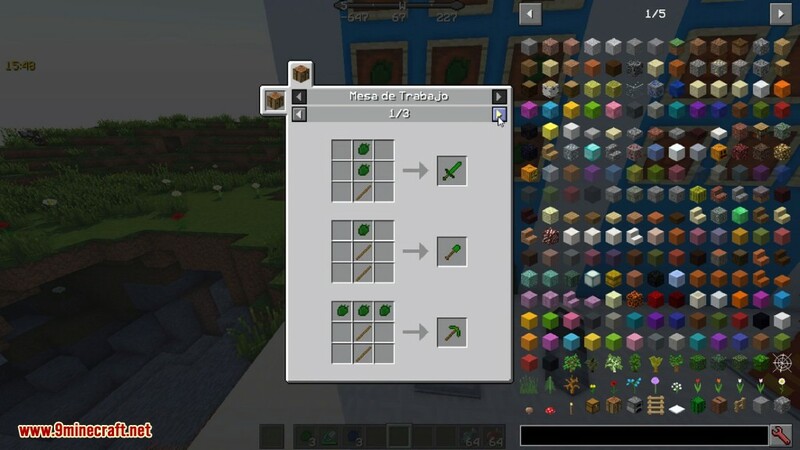 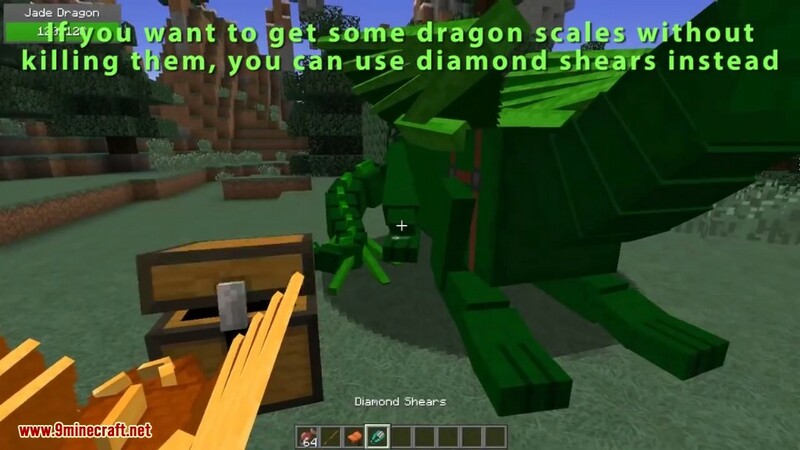 Obtain them via diamond shears or killing them in a ferocious battle, then use it to craft your tool/set armor. 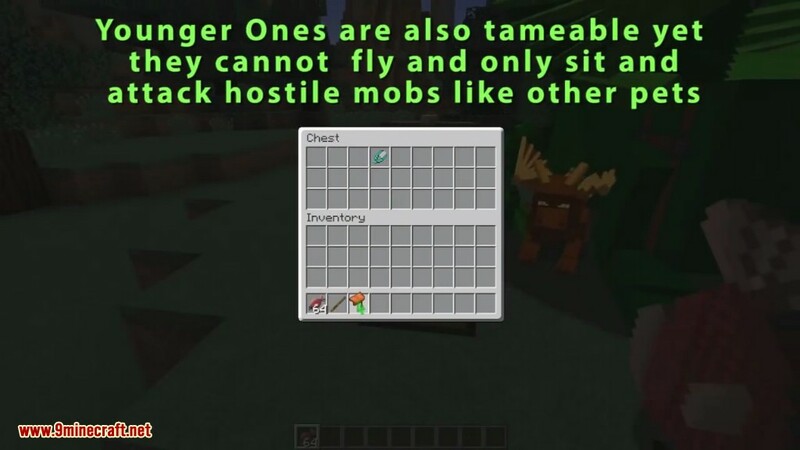 A harder way of obtaining them. 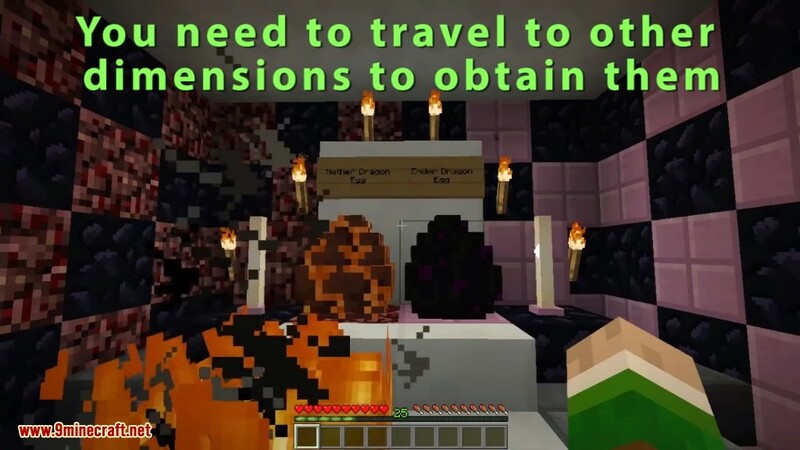 Also a harder way of obtaining them. 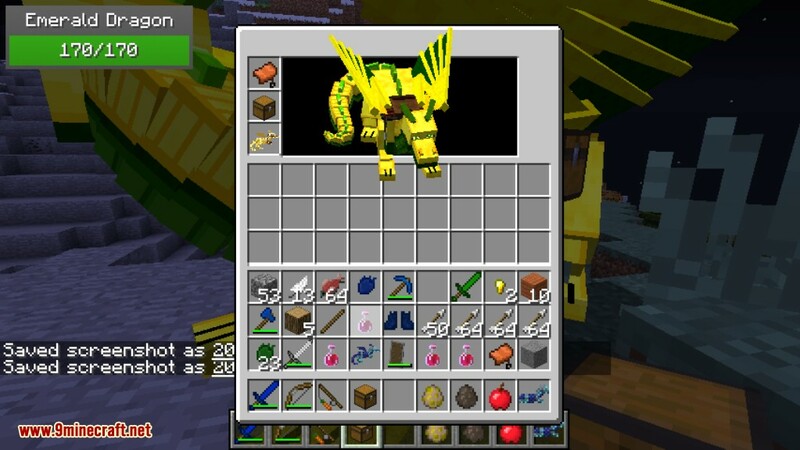 Sneak (shift) + right click to open the dragon inventory to put the saddle, armor, or chest. 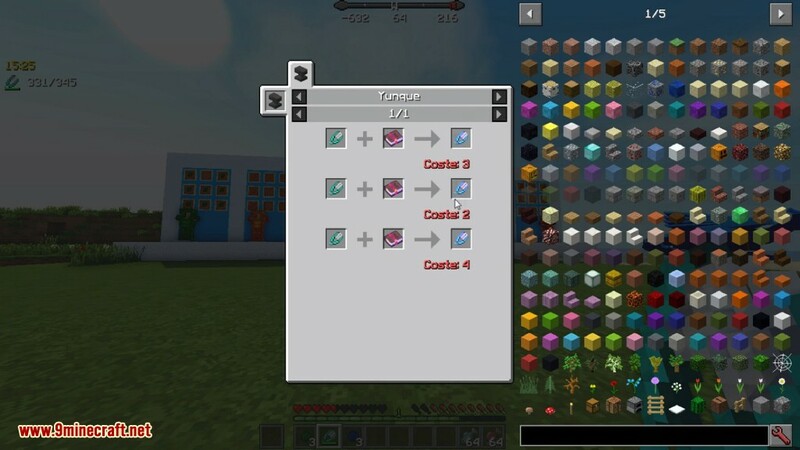 chests can be put some items.